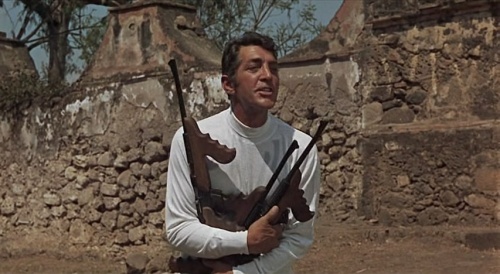 Dean Martin (1917-1995), a lover not a fighter in The Ambushers (1967). Today, June 7, is the 100th anniversary of the birthday of Dean Martin. Dino, in his day, was the epitome of cool and charm. For many, he still is. 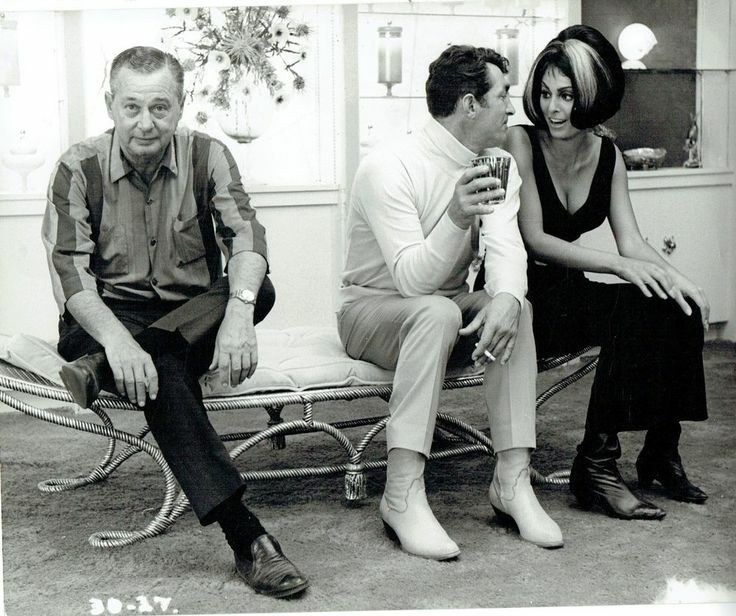 His contribution to spy entertainment was starring in the four-film Matt Helm series produced by Irving Allen, former partner of Eon Productions co-founder Albert R. Broccoli. To entice Dino, Allen made the actor his partner. As a result, Martin enjoyed a bigger pay day for the first Helm film, The Silencers, than Sean Connery got for Thunderball. Connery noticed and wanted to be a partner in the Bond franchise.. The Helm movies, rather than doing straight adaptations of Donald Hamilton’s serious novels, incorporated Dino’s “lovable lush” act. For the record, this blog would greatly appreciate a new Helm movie that faithfully adapted the Hamilton novels. At the same time, the Spy Commander discovered the novels *because* of the Dean Martin films. Speaking strictly for myself, I’m very fond of both, despite the flaws of the movies. Regardless, today is a day of celebration. Bottoms up, Dino. Daliah Lavi, who co-starred in the 1967 Casino Royale spoof as well as The Silencers, has died at 74, according to an obituary posted by The Hollywood Reporter. Lavi also appeared in Some Girls Do and The Spy With the Cold Nose. In 1966’s The Silencers, Lavi played Tina, a character actually in the first Matt Helm novel, Death of a Citizen. While the movie was done as a spoof, the basic dynamic was retained from the serious original story. Helm thinks Tina is on his side when she’s really working for the other. 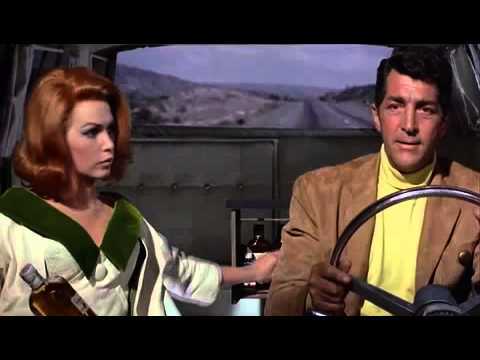 The ’66 movie, starring Dean Martin, took the basic plots of two serious Donald Hamilton novels and went in an outlandish direction. Lavi’s career extended from the 1950s into the late 1990s. She was born in Palestine. The former actress died May 3 in Asheville, North Carolina, according to an obit published by the Asheville Citizen-Times. The Year of the Spy (in the United States, anyway) shifts into another gear this month with the debut of Kingsman: The Secret Service. The movie, directed by Matthew Vaughn, strives for a return of the escapist spy film in a century known mostly for the grim and gritty, first popularized by Jason Bourne and then by a rebooted James Bond franchise with Daniel Craig. Kingsman’s emphasis on escapism even extends to the movie’s ad campaign, which involves a meme that’s been around for decades. 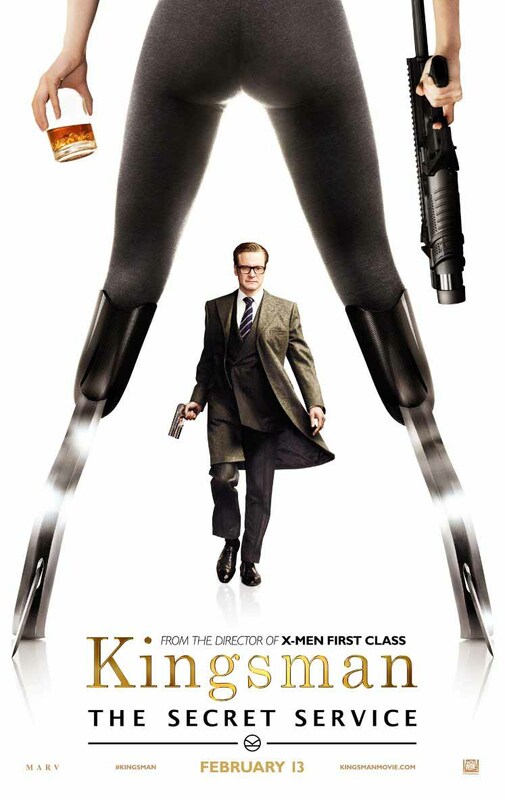 In the ads, members of the Kingsman’s cast, including star Colin Firth, are depicted striding toward a woman with prosthetic feet (a character in the film) who’s holding a drink and a rifle. The image evokes the 1981 James Bond film For Your Eyes Only, in which Roger Moore’s Bond is standing before a swimsuit-wearing Melina, holding a crossbow. But 007 wasn’t the first spy character to use such an image. Fifteen years earlier, The Silencers — produced by Irving Allen, former partner of co-founding 007 producer Albert R. Broccoli — had an illustration of a woman in a similar pose. 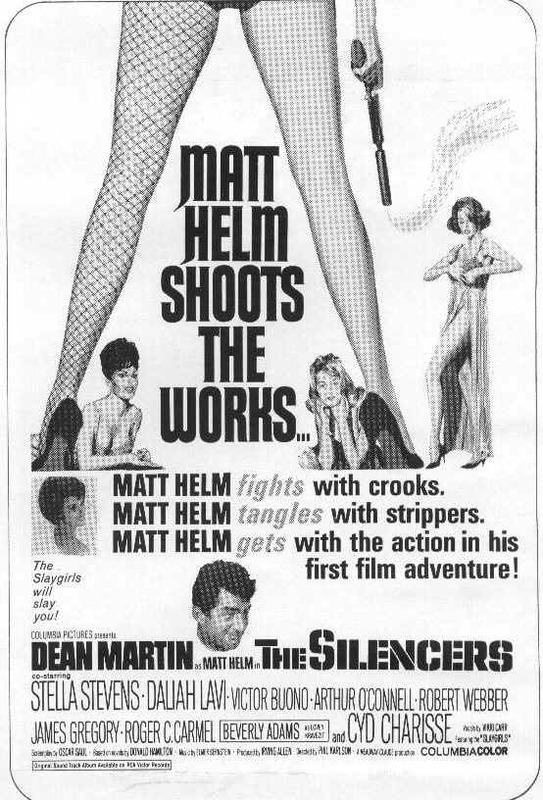 Matt Helm (Dean Martin) isn’t standing in front of her but his presence is noted regardless. In any case, Kingsman already is out in Europe. The R-rated movies arrives in U.S. theaters on Feb. 13.